Outlook: It's rather clear as to who is the queen of the ring here. That distinction goes to Chloe Lindeman of course. She is the nation's top returner indoors and #5 outdoors. Her personal best 48'2.5i" rates in the top 10 all-time/all-conditions. It is also the belief that we will see a 50-foot effort along the way. As for the key returners themselves, there are seven girls back from the state championship, and of them are six performers who tossed the steel ball over 40-feet. The crowded field despite Chandler Hayden of Pittsfield moving up to 2A; Claire Bushur has thrown over 43-foot plus feet. 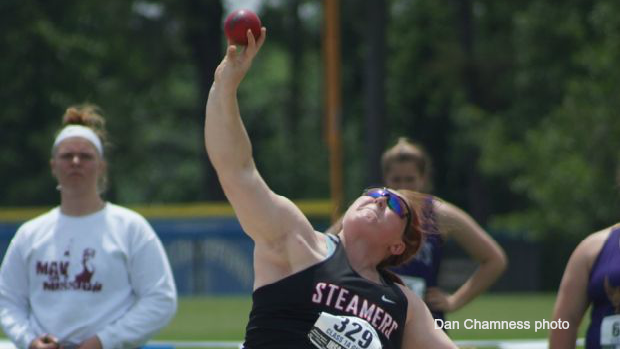 Since we are in the shot put renaissance, this could be the deepest year in Class A history.